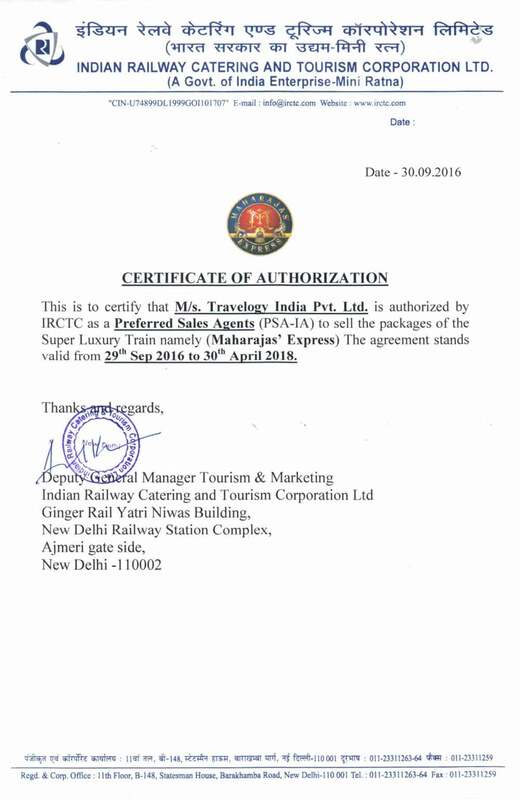 Palaceonwheelsindia.org has been designed to be a through guide with all the related information of India’s luxurious train journey, Palace on Wheels. As everything related to this elegant journey has to be convenient and effortless, the site provides updated information that includes booking of the tickets for the journey. With all the details like facilities on board, tour cost, route map, itineraries, departure and destination details, all the must know information has been brought on a single platform. The website eases up the procedure of to let this train tour be as relaxed from the time that you start planning. With best deals one can book the tickets for this lavish train journey without much hassle. Anytime you decide to go on this dreamy tour, visit the train booking page and we would happily help you to plan it smoothly. 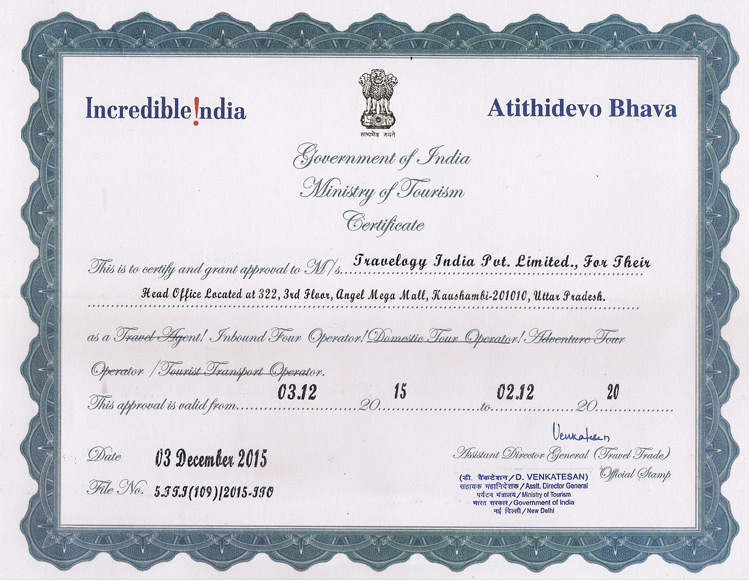 PalaceOnWheelsIndia.org Official Website of Palace on Wheels GSA - Travelogy India Pvt. Ltd. that has got a Certificate of Excellence for two consecutive years from Trip Advisor. 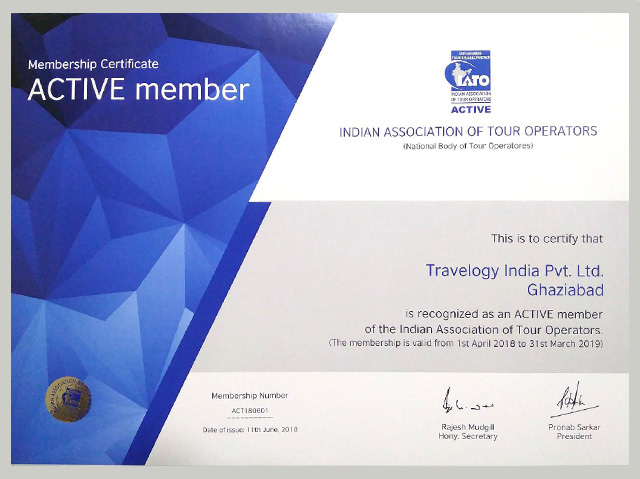 Also, Recognized by the Ministry of Tourism, Government of India while associated with IATO with Travelogy India, your luxury journey will be well planned with all the nitty-gritty taken care of. After all, vacation calls for carefreeness. An executive from the company will meet you on your arrival and departure. We provide pick up and drop off facilities for your convenience. We will accompany you up to the coach. We need your passport & visa at the time of booking and look after the documents throughout the whole process. We are a reputed and reliable company that offers easy booking of the Palace on Wheels. © Copyright 2019 palaceonwheelsindia.org, All Rights Reserved.